My name is Klein Lieu, and I was born and raised in East Oakland, CA. 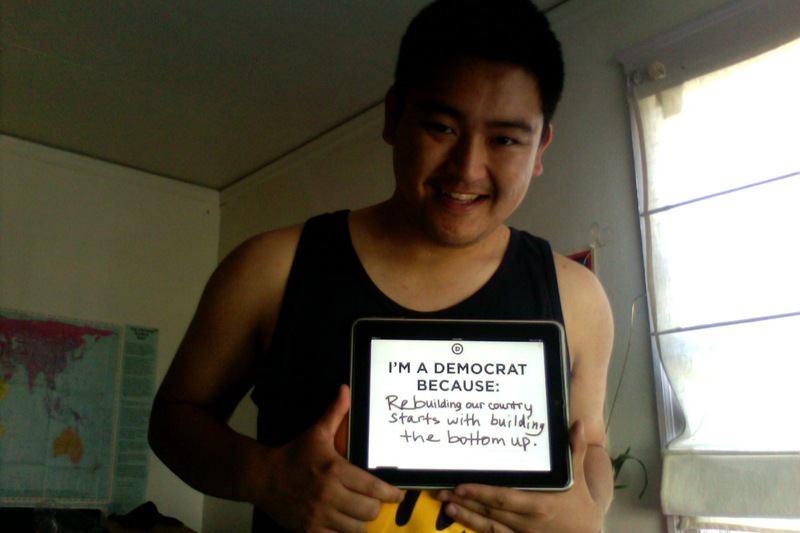 I am currently an undergraduate and student Senator at UC Berkeley, and I know I would not have gotten here had it not been for the breadth of social programs that Democrats have advocated for that have alleviated countless people out of poverty. 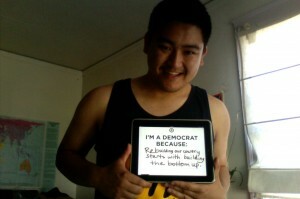 My story about why I am a Democrat does not start at the 2012 Elections though. My story starts with my mom and dad, who came here to America in the aftermath of the Vietnam War. With five daughters and two sons, my mom and dad eventually settled down in the heart of East Oakland, with the dream that their children would go on to get a university education in the United States. With just a high school education in hand, my parents not only instilled into each of us the importance of the sacrifice they made for us to have a better future, but pushed all of us to go to college. Our family did not accomplish that dream on pure hard work alone though. My parents were given assistance to make sure our family had adequate food and health care – social programs that were provided by the government for families in need. I worked hard to get to college. Coming to UC Berkeley was not only a dream come true for me, but it was a shifting moment where I began to take hold of my identity of being a progressive. Though Oakland and Berkeley are mere minutes away from each other, it was not until I came to that I realized how essential programs like Medicaid, Pell Grants, and affordable housing were in supporting my dreams, and how these programs actually help Americans across the country fulfill their dreams, too. This is the power social programs have on real lives, and I am the embodiment of the potential it carries for future generations to come. That is why it upsets me that there are leaders in this country who promise to dismantle these programs from existence. In a time where we need to rebuild our country, we need to elect leaders who understand not only what it takes to heal America, but who have the heart to know that rebuilding it starts from the bottom up. This is the same vision of what President Roosevelt saw in his New Deal, what President Johnson saw in the Great Society programs, and what Democrats have been fighting for for nearly a century: providing social programs for the working and middle class to have a fair and fighting chance. This is why for the 2012 Elections, I am ready to re-elect Democrats: to defend the programs that support my family and the countless more Americans who have hopes of a better future. Anaïs Rose LaVoie liked this on Facebook. Denise Jasper liked this on Facebook. Anthony Sanchez liked this on Facebook. Shelby LeBlanc liked this on Facebook. Jasmine Sankaran liked this on Facebook. Chong Lor liked this on Facebook. Casey Tran liked this on Facebook. Anthony Galace liked this on Facebook. Carli Baker liked this on Facebook. Rosa Lee liked this on Facebook. Tai Nguyen liked this on Facebook. William Lee liked this on Facebook. Aja Weston-Rubianes liked this on Facebook. Jonathan Chao liked this on Facebook.